A 24 year old stunner, Chantal Zaky took home the title of Miss Jamaica Universe 2012 during a tough competition held last May 12 at the National Indoor Sports Center in Kingston. An popular actress and television personality in her country, Chantal stands 1.76m tall and she will be the official representative of Jamaica in Miss Universe 2012 on December. Raquel Jones and Sherce Cowan was the 1st and 2nd runners-up respectively. 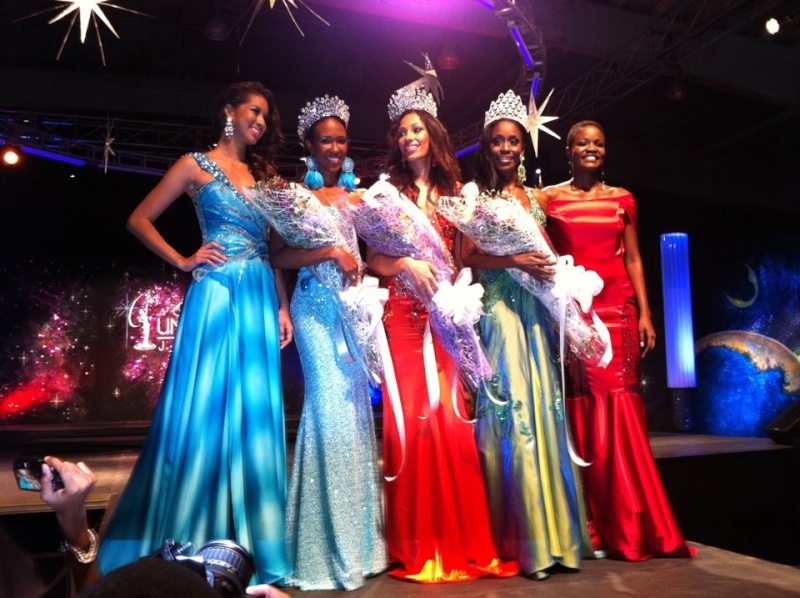 While Amanda Mitchell and Danisha Scott completed the Top 5 finalists. Gracing the event was the presence of the reigning Miss Universe 2011 from Angola, Leila Lopes.